I have a tape deck in my car which only gets used to read one of those dummy tapes that feeds from a 3.5mm headphone jack. I have no use for a CD player and would not like (nor can I afford) a new head unit. I was wondering if there is a reasonably strait-forward way to expose some sort of auxiliary input for hooking up an mp3 player? I had an old pioneer super tuner 3 and I thought about doing the same thing you were talking about in the original post, so that's what I did. I popped the case open, tracked down the connectors for the head to the pcb, and it was pretty much a no-brainer as to which wires to use. You have ground, then you have power for the right and power for the left, so I soldered leads onto the pins that I thought were right and soldered the other end to a headphone jack and voila. The only problem that needs worked out is that I rigged the mechanism to think there was a tape in there and it's stuck on fast forward, but the audio still comes through. The bass is a bit nasty. I'm not sure if it's picking up noise from the motor spinning. Keeping radio/stereo unit powered to save pre-set preferences? Can I still use OEM steering wheel controls with an aftermarket head unit? 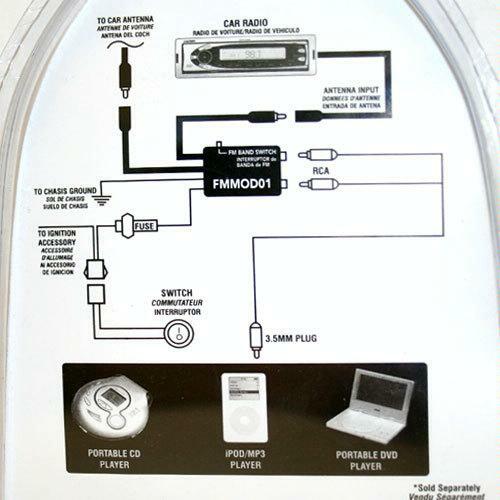 Can a secondary audio wire harness be spliced into a factory head unit harness?